Frances L. Smith, 92, a longtime resident of Cut Bank passed away January 24, 2019. Frances was born August 7, 1926 in Sunburst. 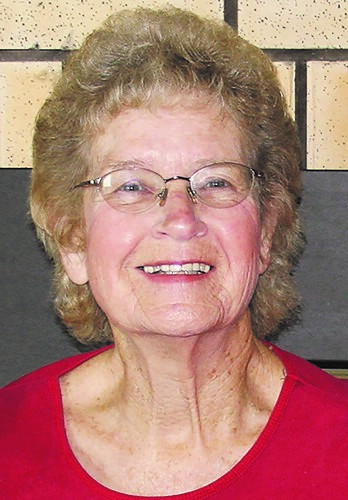 She attended school in Conrad until the 3rd grade and then graduated from Cut Bank High School in 1944. She graduated from Kinman Business School in Spokane, returned to Cut Bank and worked for Wilber Warner in his law office. Frances met her future husband, Robert A. “Bob” Smith, while bowling at Conrad. He was a teacher and coach at Brady. They were married on May 9, 1953, and followed his teaching and coaching career to Ekalaka, moving back to Cut Bank three years later to join her family business - Oilfield Lumber Co. She and Bob celebrated over 62 years of marriage. Frances was very passionate about her family and many friends. She was a devoted wife, mother and grandmother. She is survived by her children, Steve (Dr. Mary) Smith, Dr. Grant ( Janet) Smith, Martha (Clarke) Walburger and Laurie ( Kirk) Wasson; eight grandchildren; and 6 great-grandchildren, with another grandchild due in March. She is also survived by her sister, Betty Snyder of Helena and several nieces, nephews and cousins, and special friend, Karla Love. She was preceded in death by her parents, Bill and Mercedes Linder; a brother, John-“Jack” Linder; as well as her husband Bob in 2016. She was a lifetime member of the First Presbyterian Church of Cut Bank, a Girl Scout leader, and member of the Ladies of the Nile. She also enjoyed volunteering at the school reading program. Frances loved spending time with her family, and enjoyed bowling, golfing, and socializing at the Elks club. She was especially proud of her home town Cut Bank. France’s family is thankful for the great and compassionate care she received the past two years at Azalea place in Great Falls. Visitation is planned Friday February 1, 2019 from 5pm to 7 pm at Whitted Funeral Home in Cut Bank. Services will be held Saturday February 2, 2019 at 2 pm at First Presbyterian Church Cut Bank. Burial will be in Crown Hill Cemetery with a reception to follow at the Cut Bank Elks Club.